OPI “Lincoln Park After Dark”, an oldie but goodie! When I was posting my pictures of my all time favorite polishes (I still have one more post left to go by the way! ), I noticed that I didn’t have pictures on my blog of some of my all time favorite polishes! I realized that when I started blogging, I featured all my new polishes and my new products. Some of my all time favorite polishes and makeup items have never been featured on here because I’ve had them so long or because they’re so popular I never felt like people would want to see my swatches. Well, I still love some of these oldies but goodies and want to show case some of my older polishes. There’s a reason this is one of OPI’s best sellers, even years after the Chicago collection was released. There’s a reason why this is my second bottle of this polish. Its because it’s absolutely stunning and I feel the need to showcase it today! 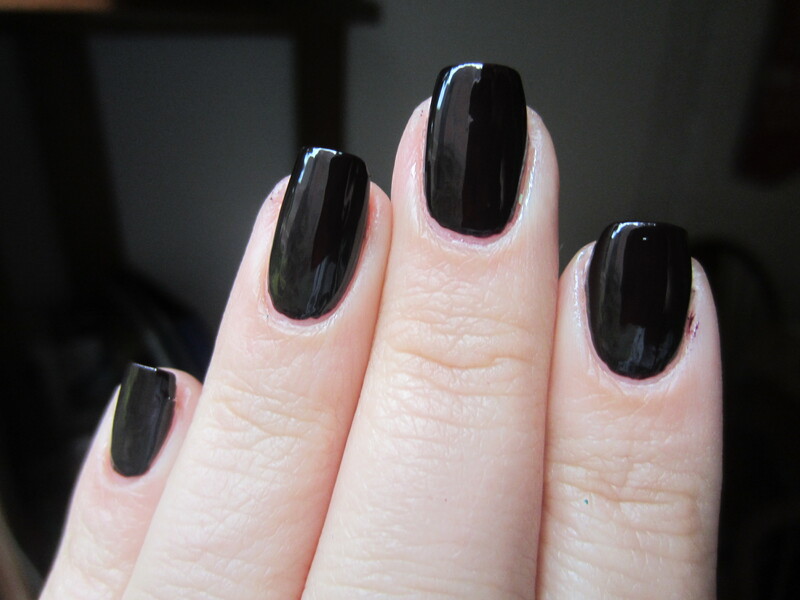 OPI “Lincoln Park After Dark” is a super dark purple creme. You can’t tell that its a purple from the pictures but the shot of the bottle above shows that its really a purple. But it’s so dark that in every light, even the brightest of sunlight, it appears to be a black. But there’s something different about this polish that isn’t like wearing black on your nails. It’s hard to explain unless you own this polish but although it looks like you’re wearing black, you feel a little more sophisticated than when you wear black nail polish (or at least I do). The feeling is more chic and less goth. The formula is a little on the thing side but super pigmented. This is 2 coats and it dries really glossy. I don’t have much to complain about with the formula except I always seem to get it all over my fingers whenever I wear it. I love this polish and there’s definitely a reason why it has withstood the test of time and I’ve used up an entire bottle in the past. What do you guys think? Do you want to see some posts of my older polishes? Do any of you have this polish? it is amazing! i love it! do you have it? do you love it too?